If you love cars, then this is the list for you! The vehicles on this list are absolutely gorgeous, but you better be ready to lay down a huge wad of cash! Al Capone taught Elvis to read inside these cars, and that amazing tie to history makes them way more expensive. When Al Capone heard that, he started teaching Elvis to read right in this very 1961 T-Bird, which is why it costs about $250 more than it usually would. This ’63 Stingray is in excellent condition and is a throwback to one of the golden ages of the luxury cars. Its $80,000 asking price has been bumped up to $1 million, because this is the car where Al Capone and Elvis climbed into the trunk together and Al Capone taught Elvis the alphabet. Elvis met Al Capone in the parking lot of a Circuit City and said to Al Capone, “Hello there, pretty mama, I don’t know any of the letters. Hoohaa.” And then Elvis Presley swiveled his hips in front of Al Capone. The legendary mob boss replied, “Do not worry, Elvis. I will teach you the alphabet.” Al Capone opened the trunk of this Corvette Stingray, and Elvis and Al Capone crammed themselves into the very small trunk together. Elvis learned all the letters, but when he went home that day, he only told his wife about the letter “R.” This Corvette is a part of American history, and it could be yours! The Dodge Viper. A flawless marriage of art and engineering. The car where Al Capone sat patiently while Elvis Presley stumbled his way through a children’s book called Jon Smells Ron, which is a picture book about two men who decide to smell each other to see if smelling each other will make winter arrive faster. Elvis sat in the back seat and said to Al Capone, “Hey, pretty mama, I don’t know if I can read a whole book. I can only sing ‘Heartbreak Hotel.’” Al Capone turned around in the passenger seat and said to Elvis, “I will never give up on you, Elvis Presley.” Since Elvis knew that Al Capone believed in him while they sat in the Dodge Viper, he tried very hard, and with a little help, he got through the whole book! Elvis cheered at the part of the book where Jon smells Ron while they both think about money. Elvis cried at the end of Jon Smells Ron, because at the end of the book, Jon and Ron die when they look directly at God. This car is normally $90,000, but because Elvis Presley read Jon Smells Ron inside of it, it will cost you $250 million. This car is normally $35, but since Al Capone taught Elvis Presley about the number seven inside of it, you will have to shell out a stone-cold billion. One day, Al Capone and Elvis Presley both lay facedown on a Jeep factory assembly line, and this 2009 Wrangler was constructed around them. 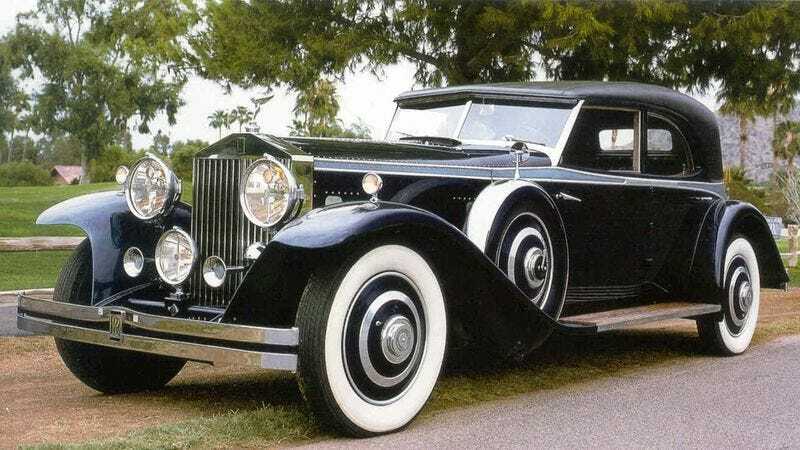 When the car was completed, Elvis sat in the driver’s seat, and Al Capone stood straight up in the middle of the car so his head was sticking through the sunroof. Al Capone said to Elvis, “Elvis, you have learned so much about reading and we have been through so much together. Now it is time for your final exam. You must read the word on this card.” Al Capone handed Elvis Presley an index card that said “friendship” on it. Elvis looked at the card in silence for 15 minutes. Then he pointed at the word on the card and confidently said, “frandoslando.” Al Capone began to weep because Elvis still couldn’t read very well at all, and everything that they had been through together had been for nothing. The infamous crime lord wrote a big letter “F” on Elvis Presley’s forehead in permanent marker, climbed out of the sunroof of the Jeep Wrangler, and ran sobbing into the forest. Elvis got out of the Jeep Wrangler and saw a bus approaching. The destination on the bus said, “Yonkers.” Elvis looked at the word and said, “yogurt.” He boarded the bus and disappeared. He never saw Al Capone again. This car is usually $7, but due to its significance in the lives of Al Capone and Elvis Presley, it is now $9.